Rich in proteins and vitamins, these mouth-watering starters will definitely make your parties healthy and happening. • Soak the three pulses separately overnight. • Boil the pulses and mash them together in a bowl with a masher. • Add chilli powder, chaat masala, jeera powder and chopped coriander to the mixture and mix well. 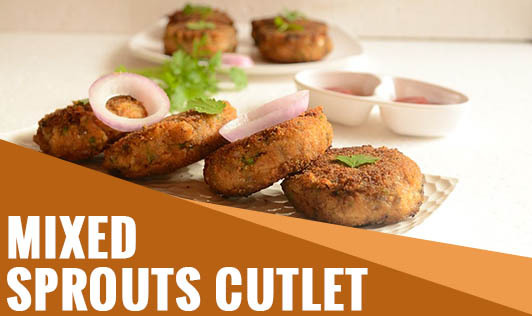 • Divide the mixture into 8-10 equal portions and shape them into round cutlets. • Heat oil in a non-stick pan. • Roll the cutlets in rice flour. • Cook the cutlets till they are golden brown on both the sides. • You can include flaxseeds and til in the recipe to improve the quality of fats. • You can use this patty to make healthy burger for your kid.